Forgot Note Password? How to Unlock Note on iPhone? 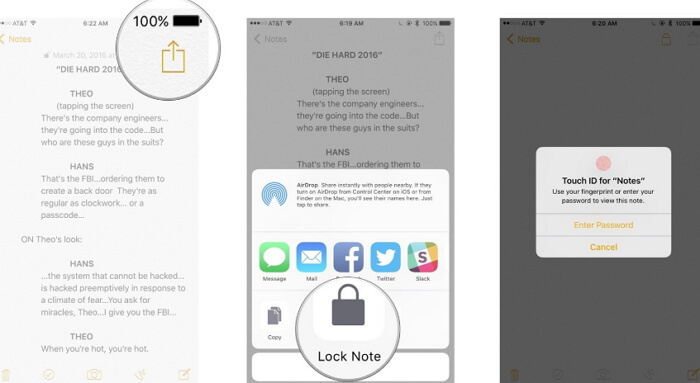 Your iPhone has a Note app that allows you to lock your notes keeping them private in case someone wants to use your phone and they might read your notes. You use a single password to protect all your notes. The downside to this is what happens when you need to unlock note on iPhone but you cannot remember the password. 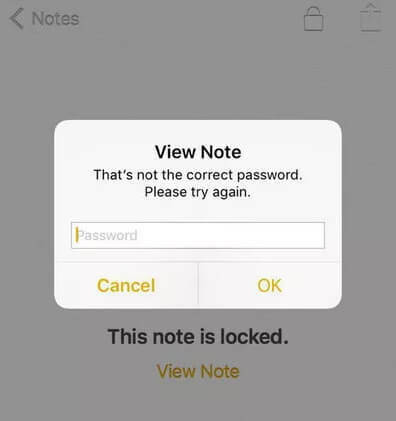 If you try to get in touch with Apple for assistance, Apple will only help you to reset your password but you will not be able to access your previous notes. You will then end up having many passwords for different notes. There is a way you can unlock note on iPhone using simple and easy methods to help you recover your notes back. In this article, we will show you some of these methods that are compatible with your iPhone and other versions of iOS. 4. iPhone Notes Disappeared? How To Recover Lost Notes? If you have placed a lock on a note in the Note app and do not need to lock it any more, you can easily remove the lock on your notes. These are the steps to follow in order to unlock note on iPhone. Step 1: Go to your iPhone and find the note that you want to remove the lock from. Step 2: Click on it then unlock the note. Step 3: Then click the Share button that is on the upper right corner of your iPhone. Step 4: Then select Remove lock. You have now successfully unlocked the note. Step 1: Go to your iPhone and launch the Notes app. Step 2: Search for the note you want to unlock then click on it. Step 3: You can click on View note at the center of the device’s screen or click on the Lock tab at the top of your device’s screen. 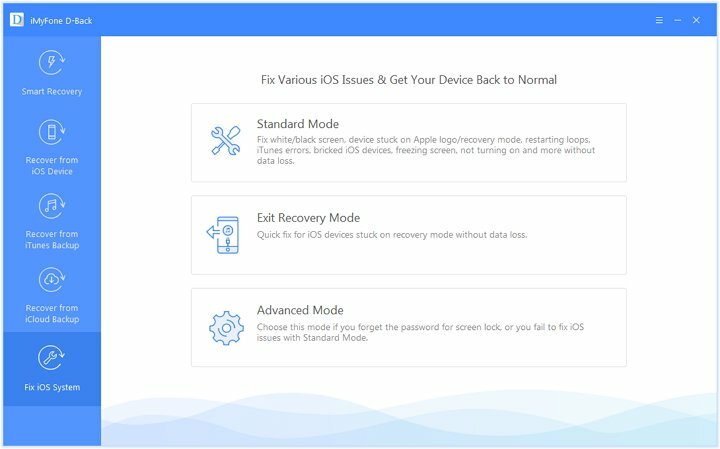 iMyFone D-Back is a recovery tool that is compatible with iPhone X/8 and iOS 12 to help you to easily get back any lost or deleted data from your iPhone, iPad or iPod touch. 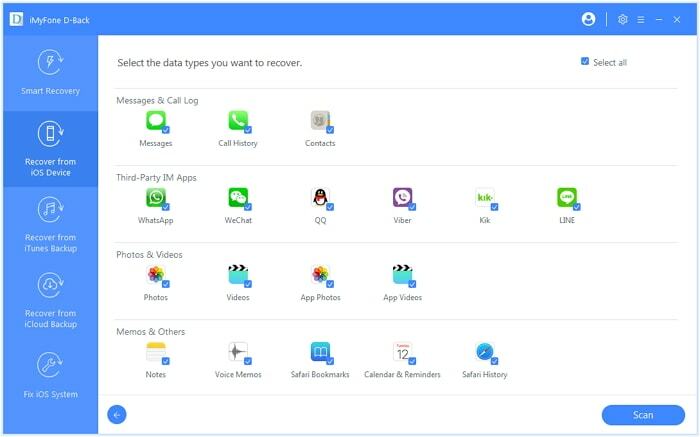 It can recover data from your built-in and third-party apps as well as iTunes and iCloud backup. 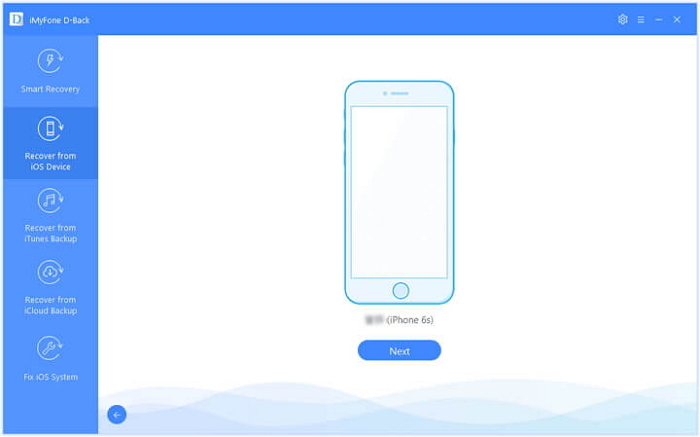 Besides data recovery feature, it is also regarded as the best option to unlock iPhone, iPad and iPod touch password with ease. 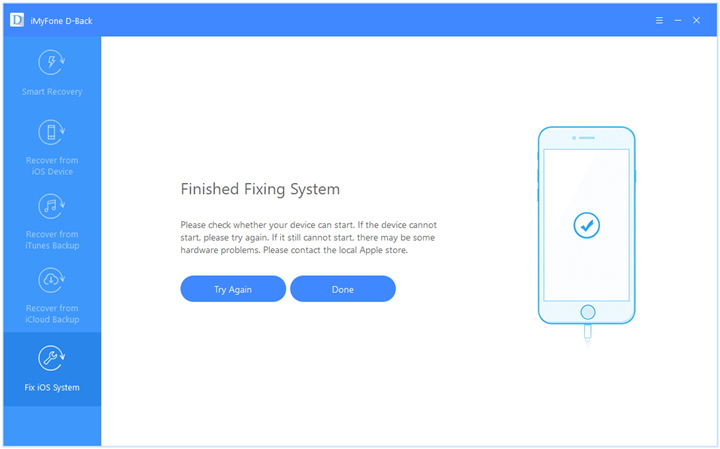 Before you start the process make sure you launch iMyFone D-Back on your PC, click on Fix iOS system from the main window then connect your iPhone to D-Back. 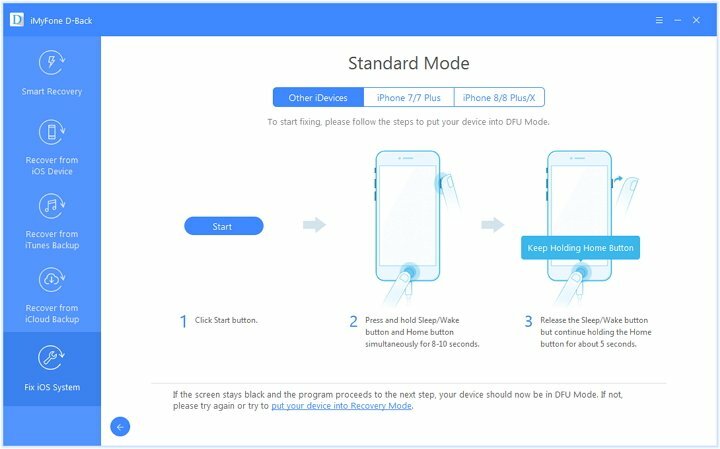 You can then choose the Standard mode where you will put your device on DFU/Recovery mode to start the recovery process. Step 1: To put your device on DFU mode, press and hold the Sleep/Wake and Home buttons at the same time for 8-10 seconds then release the Sleep/Wake button and continue to hold the Home button for another 5 seconds. 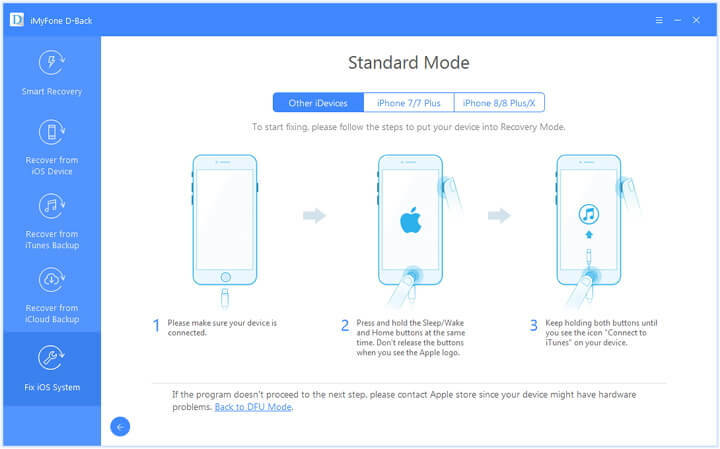 If the device does not enter DFU mode, put it in Recovery mode. To put it in Recovery mode, press and hold the Sleep/Wake and Home buttons simultaneously. The Apple logo will appear but keep holding till you see Connect to iTunes icon. 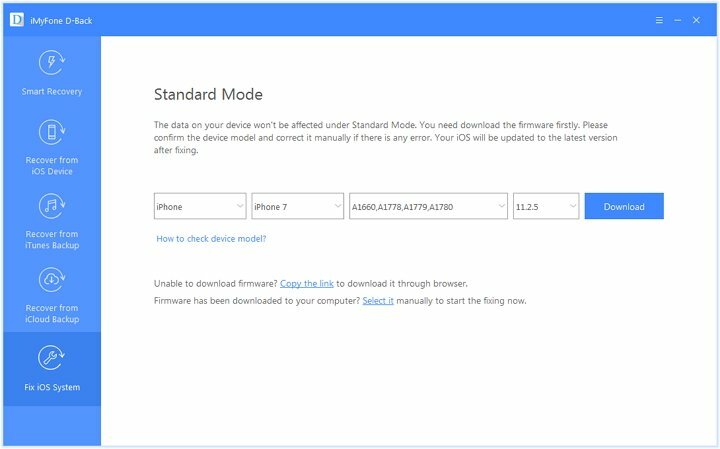 Step 2: Once on DFU or Recovery mode download the new firmware for your device. The program will automatically detect your device and give you the latest iOS version that is suitable for your device. Then click Download. You can also download the firmware you want manually. Step 3: After successfully downloading the firmware, click on Start to fix and the fixing process will automatically start. Once the process is complete, checks if your iPhone will start if not try again. 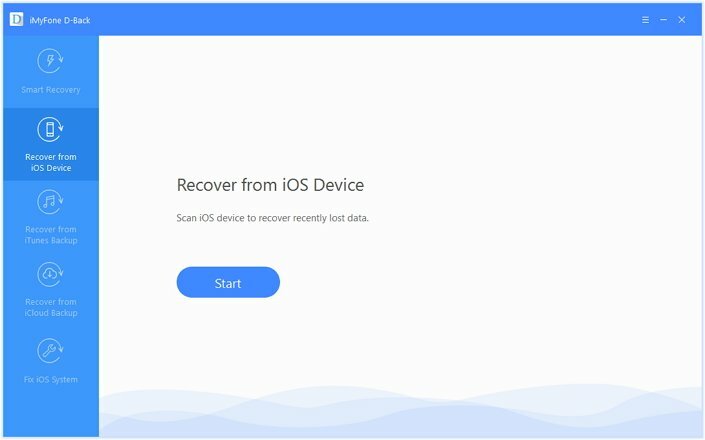 You can scan for the deleted data from your iCloud backup or iTunes backup or your iOS device by following the steps below to recover your deleted files. Step 1: Launch D-Back on your iPhone then go to Recover form iOS device then click on Start. Step 2: Connect your iPhone to your computer then click on Next for the process to begin once the program detects your device. Step 3: Select the type of files you want to recover then click Scan. The program will then start looking for all the deleted data on your iPhone. Step 4: After the scanning is complete, you will be able to view all the recovered files well organized on the screen. You can check each and every file or click on only the deleted files by clicking the Show only the deleted files tab. 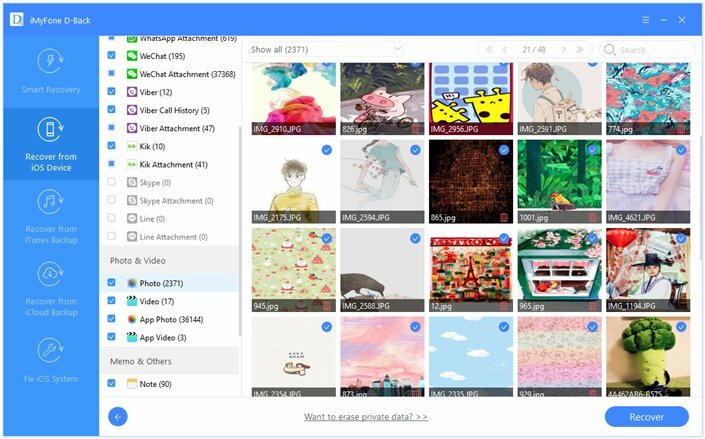 Select the files you want to recover then click on Recover at the bottom right corner of your device. Step 5: From the pop up window that appears, chose the location where you want to store the recovered files then wait a few minutes for the process to be complete. Most iPhone users nowadays are very sensitive when it comes to keeping their private documents or hiding their private thoughts safe from anyone. With the help of the Notes app and password you can keep your notes safe from prying eyes if you do not want other people to read your notes. So even if you let someone use your phone you are assured that they cannot have access to your notes. If you no longer need to hide the notes you just unlock note on iPhone by just enter the password and accessing the notes. If you forget the password, you can use the above methods to unlock note on iPhone.